Please select a medicine cabinet to go with your purchase. 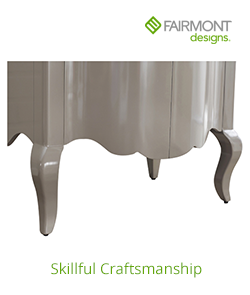 Questions about Fairmont Designs 1506-VH30? 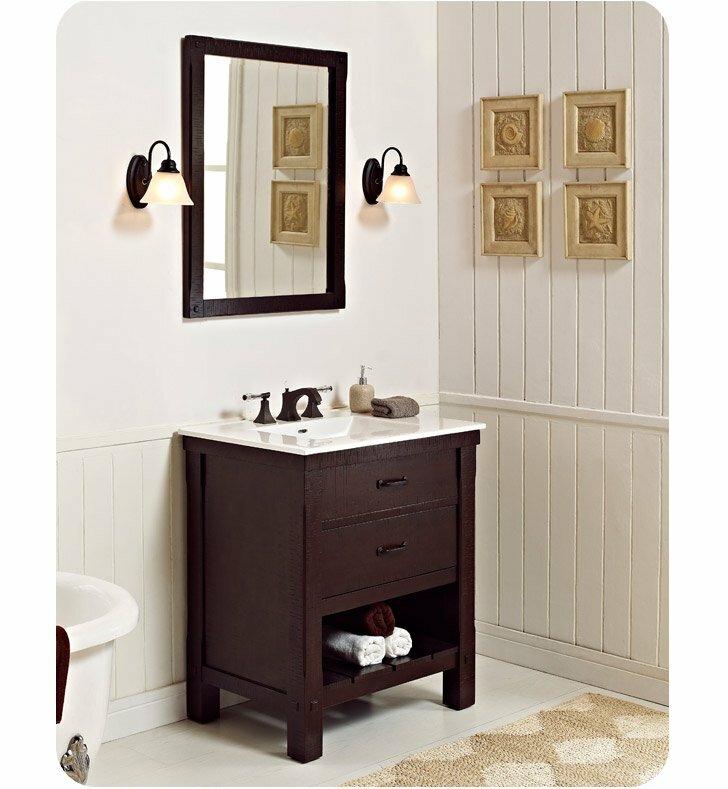 The Napa Free Standing Open Shelf Bathroom Vanity spotlights dressed-down with handsome results. The straightforward designs highlight the rough hewn charm of the Aged Cabernet finish. A planked bottom shelf turns up the convenience factor. With its plainspoken appeal, Napa is at once elegantly rustic, yet luxuriously chic. 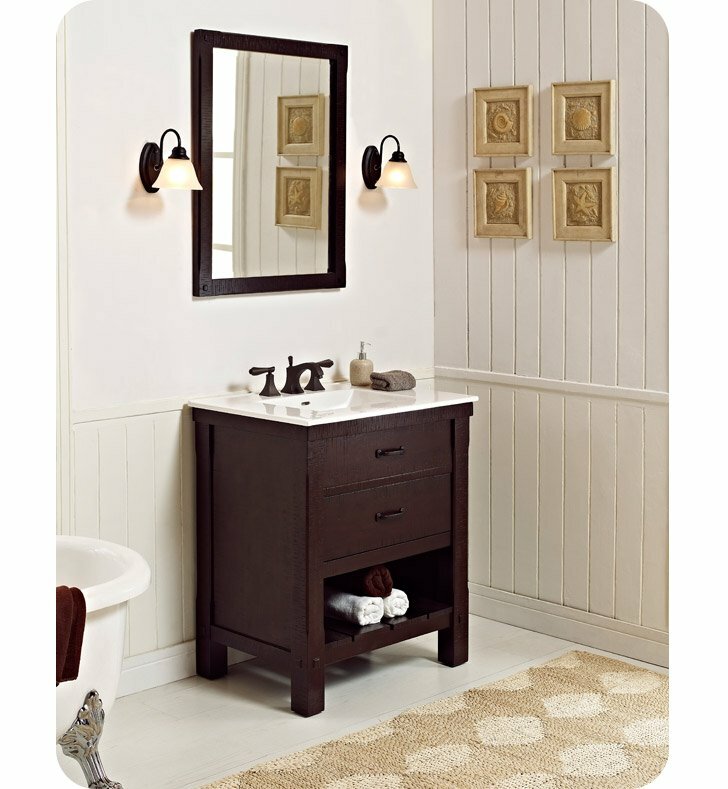 Available in multiple sizes, these cabinets are perfect for jump starting any bathroom decor. Our bathroom vanities are the essence of individuality - uniquely designed and handcrafted by skilled artisans for quality craftsmanship to last a lifetime. 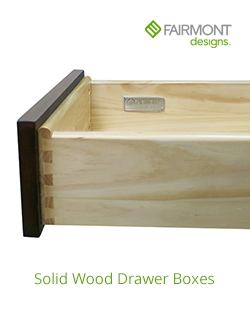 Solid Wood is the number one choice for drawer boxes and is available in all our dovetail drawer box options. 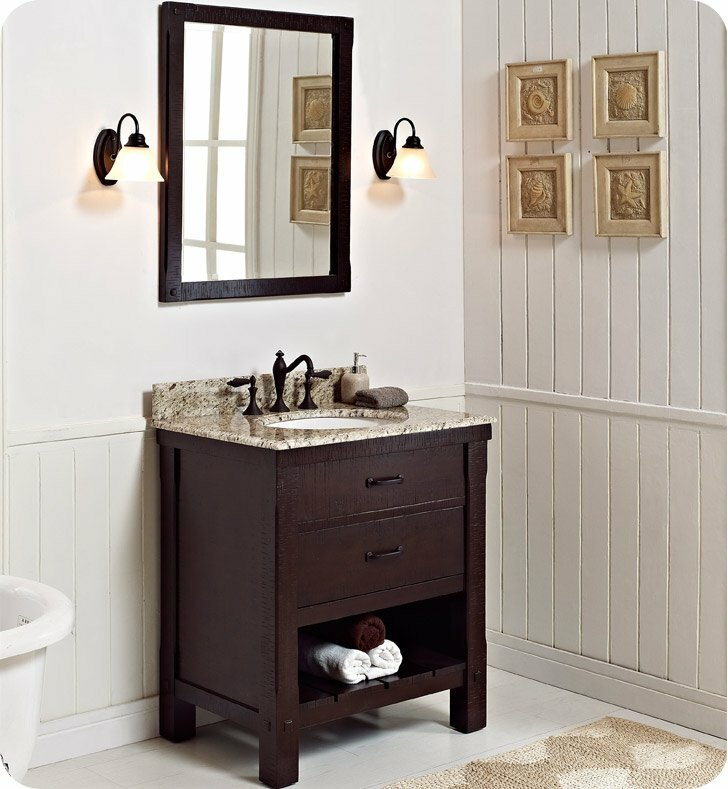 Solid wood drawer boxes are give a high-end look to any project with stunning wood grains and natural beauty. The coordinating plywood bottom provides strength and durability for holding drawer contents. 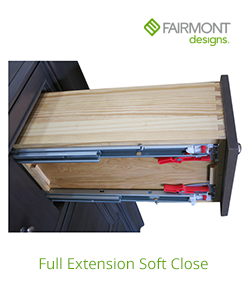 Soft Close full extension drawer slide features a smooth ball bearing operation with an integrated soft close mechanism. Soft-Close slides is perfect for Kitchen, Bath, Furniture upgrades and many other useful applications. Full Extension Soft Close Drawer Slides are compatible with all major drawer and cabinet types. Vanity: W 30" x D 21 3/8" x H 34 1/2"